The term ambient intelligence (AmI) is still a vision of the future of consumer electronics in which the computational power is embedded in everyday appliances and physical objects to turn environments into sensitive places able to understand users’ needs and to automate their daily tasks (Weiser 1995). In the context of AmI, task automation is central and raises many challenges since the system must adapt to each individual’s specific needs. These challenges become even more critical when the domain is characterized by the presence of many actors, every one owning different institutional roles, responsibilities, skills, and motivations (Cook et al. 2003). In addition, since users’ preferences may change in time, it is also important that the developed system provides evolution facilities for adapting to new requirements; otherwise, the system may become useless, obsolete, or perceived as intrusive by final users. 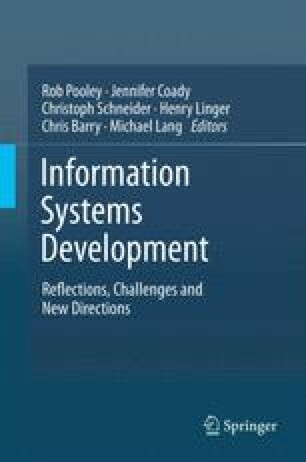 It is therefore of paramount importance to use requirements engineering techniques for the analysis of users’ needs and for involving users to participate in design and development choices (Rolland and Salinesi 2009, Van Lamsweerde 2003).